With the introduction of FDI in retail in India and liberalization in the rules regarding foreign trade, International Business Studies have become much more relevant. All MNCs now require management graduates to have global exposure. As globalization has caught pace, borders do not matter in business, and as a result, International Business has been introduced as a stream of MBA in the recent past. In such a scenario, it becomes imperative that sound knowledge of foreign trade, international finance, and export and import must be prevalent in the managers. All these changes in the market dynamics have made International Business an important stream of MBA. There are immense career opportunities available in International business in today’s scenario. MBA in International Business leads to lucrative careers such as Management Analyst and Administrative Service Manager. Specializing in MBA in international business serves as a gateway to global career and international exposure. As per the U.S. Bureau of Labor Statistics (BLS), median annual wage as on May 2012 included $78,600. Several career opportunities also exist with banking sector, aviation, hospitality industry, nonprofit organizations, and government agencies. The degree program develops business competency and cultural skills to prepare students for global job market. As the students of international business receive specialized training during MBA curriculum, they are more likely to be hired in different roles and organizations requiring international exposure such as international marketing, export-import department, and logistics. Businesses are becoming global and with the introduction of newer business methodologies like e-commerce stores, multi-national presence, and other similar practices, one can easily target global audience. With the changing scenario, the demand for professionals who understand the ethics and challenges of international businesses is also growing. 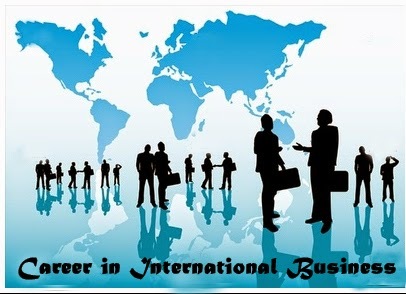 International business ensures bright career as the current market scenario demands it. The knowledge of how business works overseas is of great importance to the companies looking to operate worldwide. Students while choosing the right institute for pursuing an MBA in international business must ascertain that the college has a good reputation and will be able to give global exposure to the students. As long as the faculty does not have a global outlook, they will only be able to impart theoretical knowledge to the students, which will not be of great help. Export and import management rules and documents related to them. Management of foreign Exchange, which deals with currency conversion, currency rates, etc. International finance, elaborating on raising capital from international market. Management of international logistics that deals with the distribution network and transporting goods efficiently to foreign countries. 2. MDI, Gurgaon: Management Development Institute, Gurgaon is one of the oldest management colleges in India. The name of the course in this college is Post Graduate Programme in International Management (PGP-IM). The duration of the course is 2 years and successful completion of the course will help you get a job with hefty pay package. Top recruiters visiting the campus of the company for recruitment are Agrotech, Asian paints, Britannia, CTS, etc. 3. K. J. Somaiya Institute of Management Studies & Research: K.J. Somaiya is ranked among the top business schools in India. The institute is NBA accredited and is also ISO 9001:2000 certified by the Bureau VERITAS Certification. The top CAT score holders prefer to study at this reputed institute, which is located in Mumbai. Many other premier colleges offer an MBA degree in International business such as Symbiosis Institute of International business Pune, Fortune Institute of International Business, New Delhi, etc. An MBA in International business is similar to the normal MBA program with additional skills and knowledge about international business. The course teaches similar concepts like supply chain management, marketing and finance, etc., but in global context. This is the era of globalization. Many small companies try to venture into other countries; therefore, the requirement of MBA professionals with specialization in international business is ever growing. These companies will naturally select candidates with an international business degree for global positions.